Organic Moringa leaf extract90 Veg. Caps. Organic Moringa leaf extractclose90 Veg. Caps. Adults. Take 3 vegetarian capsules a day. Take 2 capsules a day. Adults. Take 2 capsules a day. Each capsule contains 125mg Osteosine™. Adults. Take 2 softgels a day. Each softgel contains 500 mg of Calanus® Oil. The most bioavailable form of curcumin on the market (185 times more bioavailable than standard curcumin). Adults. Take 2 Licaps™ a day. Each Licaps™ capsule contains 500mg of NovaSOL® Curcumin. Adults. Take two vegetarian capsules a day. At doses of more than 2000 IU a day, it is advisable to have a 25-hydroxy vitamin D test. If you suffer from kidney disease, do not take vitamin D3 without consulting your therapist. Do not exceed 10,000IU a day, all sources combined, without professional advice. The same applies if you are taking anticoagulant drugs. adults. Take 3 capsules a day. This product should not be taken alongside diabetes medication. Its use is contra-indicated in type 1 diabetics, those with coagulation disorders and those who have had a transplant. Adults. Take 6 capsules a day. adults. Take 1 capsule a day. This supplement contains no psychotropic substances. CBD + Melatonin60 Veg. Caps. CBD + Melatoninclose60 Veg. Caps. For adults only. Take 1 capsule 30 minutes before bed. Adults. Take 2 capsules a day. Each capsule contains 125mg of Olecol®. Recommended use: adults. Take 2 capsules a day. Each capsule contains 125 mg of Zeropollution®. Adults. Take 4 capsules a day. Hyaluronic Acid 150 mg 60 Veg. Caps. Hyaluronic Acid 150 mg close60 Veg. Caps. adults. Take 2 capsules a day. 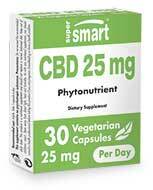 Each vegetarian capsule contains 150 mg of high molecular weight sodium hyaluronate. Adults. Take 2 softgels a day. Each softgel contains 78.125mg of hemp oil standardised to 6.4% cannabidiol (CBD), ie, 5mg of CBD. Eye Pressure Control30 Veg. Caps. 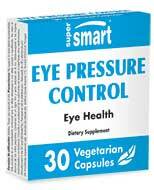 Eye Pressure Controlclose30 Veg. Caps. For adults only. Take 1 capsule a day. Take one stick a day, diluting the contents in a glass of water. Advanced Sleep Formula60 Veg. Caps. Advanced Sleep Formulaclose60 Veg. Caps. Women who are pregnant or breastfeeding, children, and those suffering serious mental problems or auto-immune diseases should not take melatonin. Driving or using dangerous equipment is not recommended after taking melatonin as it induces sleep and slows reactions. adults. Take one capsule 30 minutes before going to bed. - Les femmes enceintes ou allaitantes, les enfants, les personnes souffrant de troubles mentaux graves ou de maladies auto-immunes ne doivent pas prendre de mélatonine. La mélatonine induisant le sommeil et une diminution de la rapidité de réaction, il est déconseillé de conduire ou d'utiliser des outils dangereux après avoir consommé de la mélatonine. Organic Royal jelly 4 % 10-HDA90 Veg. Caps. Organic Royal jelly 4 % 10-HDAclose90 Veg. Caps. adults. Take 2 scoops a day, diluted in a drink of your choice (water or a plant-based drink). Each scoop contains 2.5g of Fibregum™, organically-produced acacia gum. adults. Take 4 tablets a day. Each tablet contains 550 mg Garcinia cambogia extract.